Bone grafting replaces the bone around your teeth. Bone grafting reverses bone loss caused by periodontal disease. Bone grafting also replaces bone lost due to trauma or improperly fitting removable dentures. Contact the Seattle bone grafting experts at SeaTac Family Dental and Port Orchard Dental Artistry. We provide major and minor bone grafting. 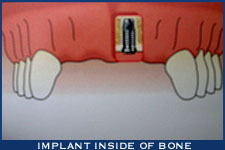 Our bone grafting replaces bone for dental implant placements. It also makes removable prostheses better fitting and more comfortable. Contact us for your bone grafting procedure. We have three major and minor bone grafting options. Autogenous bone grafting uses live bone with live active cells to enhance bone growth. Autogenous bone grafting is called the “gold standard” of bone grafting. Unlike other types of bone grafting Autogenous bone grafting don’t have live active cells. Our other major and minor bone grafting includes allograft and Xenograft. Both are easily done and don’t require us to take bone from a second site. You’ll get safe and effective major and minor bone grafting. Contact SeaTac Family Dental and Port Orchard Dental Artistry today. With missing teeth your jawbone atrophies or is reabsorbed. This leaves your jawbone in poor condition and quality. With this kind of damage you don’t qualify for dental implants. Dental bone loss of this magnitude calls for major bone grafting. There are many benefits to major bone grafting. Major bone grafting grows bone where it’s needed. 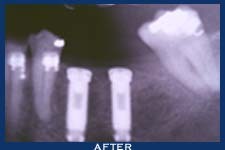 Bone graft surgery lets us put in dental implants at the right length and width. Dental bone grafts lets your mouth work right. And it gives your teeth a natural look. Learn more about the benefits of major bone grafting at SeaTac Family Dental and Port Orchard Dental Artistry.